I hate computers!!! Or should I say - I hate my web hosting package. I have just lost my entire blog on my website: http://www.stampwithme.com.au/ :( and I have to start it all over again. Luckily it's a new month tomorrow and I start a new blog for the month of October. It is so much more reliable :) and yes - I am exploring options. Anyway, back to business!! 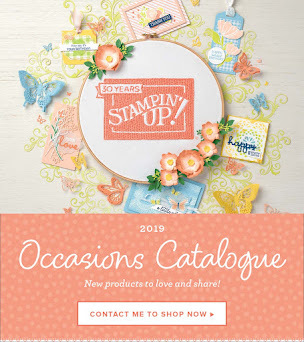 Ever since going to Floriade on Sunday night - I am really embracing the floral theme (being a lover of flowers - it was a very easy thing to do) and Bloomin' with Beauty from Stampin' Up! has really helped that craze along. 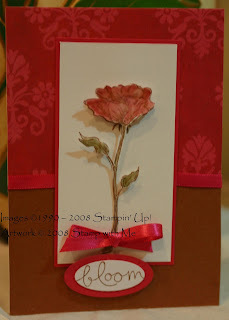 This card uses the flower stamp (from Bloomin’ with Beauty) with Black StazOn and then coloured in with gorgeous Stampin' Up! colours - Always Artichoke and Purely Pomegranate. The photo doesn't really do the colours justice - but I used two layers (with Stampin' Dimensionals in-between) and Crystal Effects to lacquer the top image to give it a thick glossy look. I love it. Cutting fine detail pictures does take patience but it is so worth it in the end! 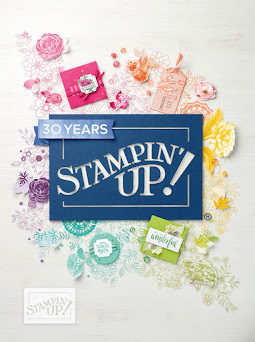 Today marks the last day of Stampin' Up! 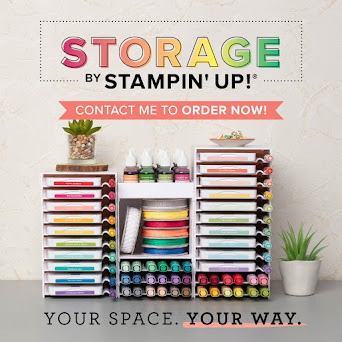 's Free Wheelin' offer - but October brings us lots of specials and offers from Stampin' Up! Keep checking my website to stay up to date. Or even better subscribe to my newsletter - just click here to take you to there! 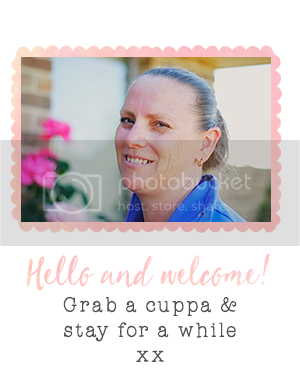 http://www.stampwithme.com.au/ .